Whether you or a loved one are worried about developing breast cancer, have just been diagnosed, are going through breast cancer treatment, or are trying to stay well after treatment, this detailed guide can help you find the answers you need. 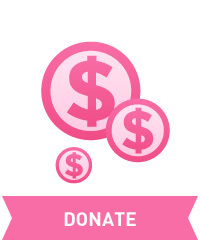 Click on the breast cancer topics below to get started. How is breast cancer classified? What should you ask your doctor about breast cancer? What`s new in breast cancer research and treatment? This entry was posted in Uncategorized on August 2, 2017 by tee.auster. Nine years living the virtual life, Relay For Life of Second Life Mission Educator...fundraising, fashion, fun, friends!